Den gained an understanding of customer service and solid relationships in the community at a very early age, while working in his family shop in a rural farming area outside Bunbury. It was from that experience that he went on to run and manage a successful automotive services business for over twenty three years. 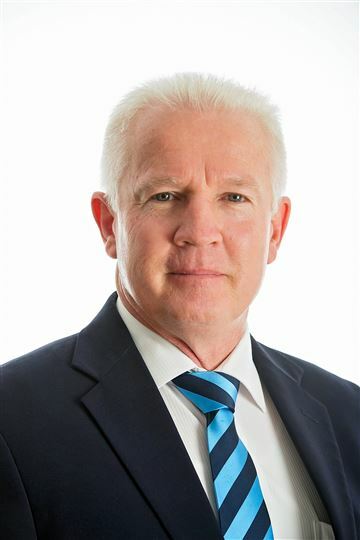 The insights into building long term relationships and ethical work standards that he gained during those times made him an ideal candidate to work within Real Estate as of 2002 at Roy Weston and now a co owner / Director at Harcourts Bunbury as of April 2007. Specialising in Eaton, Burekup, Roelands, Vittoria Heights and Glen Iris and available to service the Bunbury and surrounding areas with residential and rural sales. (quoted from valid testimonials available for inspection upon request) include: “..he showed a personal interest on our behalf in the sale of our property.” (Colleen, Bunbury) “I would personally like to thank Den Baldwin for his relentless drive in making the sale happen.” (Wendy, Bunbury) “Den’s enthusiasm and general manner were infectious….our home sold within one day of going to market.” (Frank, Bunbury) “Honest and straightforward…Den was never too busy when I rang him..he was more concerned about my schedule than his.” (Jean, Bunbury) Den is a licensed real estate representative. So if you are looking to appraise, sell or purchase a home, or just get some reliable up to date market information, he is available on 0402 026 614.